At the Ann and Jerry Moss Theater at New Roads School, 3131 W. Olympic Blvd., Santa Monica. Immediately west of Centinela. Free Parking. Tickets, $25. The Queen of Rock ‘n Roll doesn’t begin to cover Linda Ronstadt’s scope as a groundbreaker and glass ceiling crasher in the music industry, throughout her simply astonishing career. The most successful female rock singer of the 70’s, and still one of the most successful and adored performers of our era, she recorded hit after hit, songs which serve to identify a great era in rock. Ronstadt performed with the biggest names in rock—The Doors, The Rolling Stones, Neil Young, Jackson Browne. Her backup band became The Eagles. In rock, country, (and her fusion of the two genres), traditional Mexican songs, jazz, her association with Nelson Riddle on the Great American Songbook, Linda Ronstadt has continuously and consistently reinvented her style and her focus. And with each experiment, with each venture into a new musical genre, her wonderful and beautiful voice led her to great success, and took us, her listeners, to new and unexpected places. But climbing to the top in any field isn’t easy, and it was fraught with difficulty for years. Her magnificent voice, soulful and thrilling interpretations of her songs, and genre-bending style catapulted her to the top with fans, but the male-dominated world of rock was surprisingly sexist and painful. 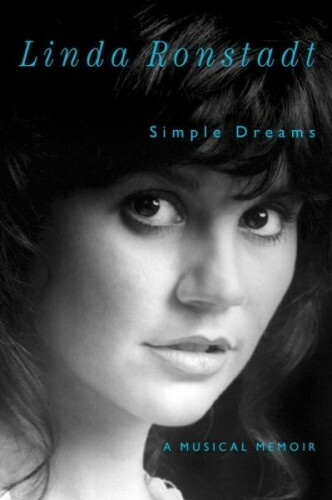 In her memoir, Simple Dreams, Linda Ronstadt leads us through the landscape of her musical and personal journey. Her landmark hit with the Stone Poneys, Different Drum, kickstarted what would become an unbroken strand of great hits. She talks about her family’s profound influence on her musical development—whether in opera, American standards, or Mexican songs. She discusses the fishbowl-like relationship with our then—and current governor, Jerry Brown. And she reveals the difficulty of life on the road as a rock star, one of the most popular singers in the world. Her recent diagnosis of Parkinson’s Disease with her disclosure that she can no longer sing at all underscores her significant artistic accomplishments, as well as her great gift to us, her listeners. 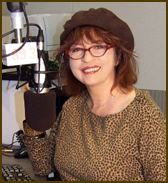 Linda Ronstadt is a beloved singer, and Patt Morrison is a beloved Los Angeles journalist and institution herself. She writes regularly for the Los Angeles Times, and is the author of Rio LA. Patt can be heard regularly on KPCC, although not regularly enough for our tastes. This entry was posted in Author, Music, Past Events, Program. Bookmark the permalink.